We offer affordable Homeowner’s coverage for owner occupied homes within the Commonwealth of Pennsylvania. Our coverages are tailored to individual requirements and updated as needed by our various endorsements. The policy provides protection for the home, garage, other out buildings, as well as personal contents. Jewelry, guns, collectables, antiques, and most other valuables, can be specifically covered by notifying your agent. Included in the package policy is Additional Living Expense, which provides additional coverage if a covered event keeps you from your home. The second part of your Homeowner’s Policy provides Liability coverage for accidents which happen to someone (a person that is not a resident of your home or is not a member of your family) that comes on your property. 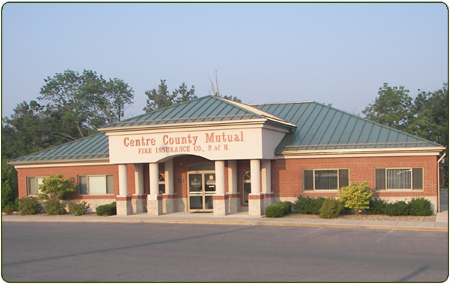 Centre County Mutual has been helping insure Mobile Homes for over 30 years. Whether it is your main residence, second, or seasonal home, we offer protection that is tailored to your needs and your finances. Our packaged policies include, for one low cost, coverage for the building, personal property, garage, shed and outside structures along with liability coverage if someone is injured on your property. We can also add specific coverage endorsements to insure valuable belongings such as jewelry, hunting equipment or antiques. Centre County Mutual insures personal residences, including 4 family homes that do not qualify for our Homeowners program. We offer Basic, Broad and Special Plans to help you insure your Seasonal home, Family camp, Second home, and Residences you rent to others. We do not agree that one policy fits all and we can build a contract that has coverage to fit your needs and budget. You decide what program or package best fits your price and coverage requirements. We’ll build it for you. We also provide economical renters insurance to protect you or your family at your room, apartment, or rented home. This covers your furniture, computer, MP3 player, other electronic listening devices, clothes, accessories, and other transportable personal property/contents you have at your residence. Look around your home. What would happen if you were to lose your personal possessions in a fire, a water leak, or if smoke were to enter your house from a neighbor’s fire?